Kenyon Yeh was born in 1983 and graduated in 2009 in Master of Product Design at Kingston University, London. 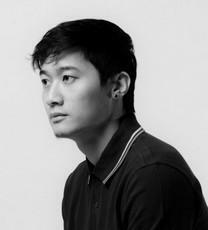 In 2010 Kenyon Yeh starts his personal design studio in London, by producing his own handmade furniture and space design projects in collaboration with TOPMAN UK and London designer Simon Hasan. His works have been known and published in several media and international exhibitions. Kenyon Yeh studio is currently based in Taipei, Taiwan where he lives. His works include furniture, lighting, and products design for international clients such as SELETTI, MENU AS, ESAILA and others. His work is characterized by a unique approach, creativity, form and practice.